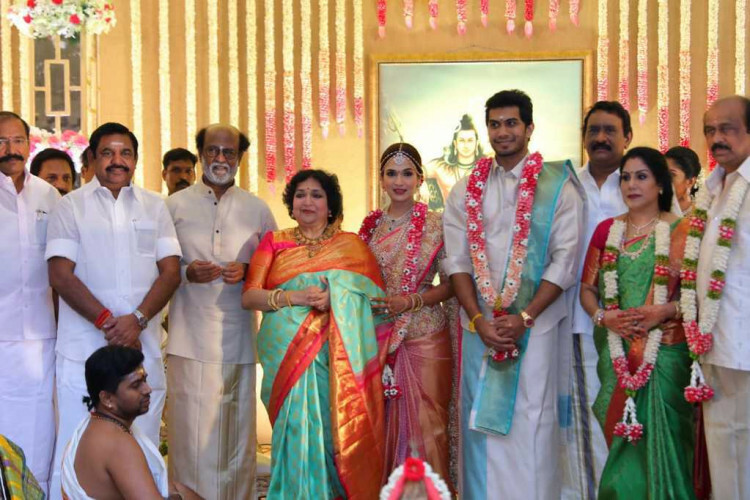 On Monday, in a grand ceremony the daughter of Superstar Rajinikanth got married. Soundarya tied the knot with Vishagan Vanangamudi in the presence of many big personalities from Tamil film industry and politicians. From Tamil Nadu Chief Minister E. Palaniswami to actor-filmmaker Kamal Haasan, everyone gave blessings to the newly wedded couple. Celebrations began on Friday with a pre-wedding function.